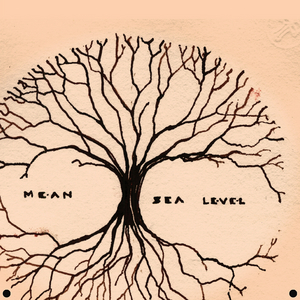 Brett Barton is leader of Chicago based band Mean Sea Level who just released a wonderful E.P. How could you discribe your music to somebody who never heard you ? Familiar and unsettling, maybe like your subconcious. If your music was a landscape ? The marsh opposite my grandfathers dock, in charleston. It’s always green and yellow, all times of the year. It seems to be waking and sleeping all at once. Your music sounds like a mix of English folk, American Folk, pop ; tell us more about your musical influences. I like folk music, but I don’t think of myself as a folk artist. The finger picking guitar and quiet vocals in my recordings are easily categorized as folk, but I write in a more pop fashion. I’m influenced by artists that have multiple melodic layers in their music: Cocteau Twins, Dungen, Kinks. And I am drawn to the lyrics of John Cale. He has a great way of building a story that is completely open to interpretation. You really doesn’t sound like others indie folk pop bands, what is your secret ? I try to write a song that has momentum–bringing in instruments and filling out the arrangement as the music progresses. A hook is important to me, although I don’t believe it has to be melodic. It can be a warped out keyboard, undefined texture in the background or a hard left turn 2/3rds of the way through. When, how, did you know that a song is successfully completed. It’s important that a song rarely plateaus. If it does, there is no reason to keep repeating what’s happening. So I often bring instruments in later in the song to present new melodies and widen the music. I stop filling out the song when I feel like there is just enough elements to pull the listener all the way through. There is a very beautiful sound on this record, who is the sound engineer for this recording. Tell us more about the recording process. This album is a collection of songs that had been sitting around on tapes or in my computer for a few years. I was listening through rough mixes of songs one day and chose these because of their similar lyrical themes. They had been recorded in my apartment [vocals, guitar] and I brought them to the Cardboard Sangria project studio to have friends lay down drums, electric guitar and keyboards. We all play together in various groups in Chicago and worked quite well together. Our space has many instruments sitting around and they show up all over the record. I would layer instruments like an out of tune piano with bells, or an organ with whistles. I mixed it myself and it was mastered by Blaise Barton. What’s your story with music ? My house was full of music from Neil Diamonds great early albums to the Motown my mother would listen too. No one in my family was a musician, but we did have an over-sized organ in the family room and I started playing it when I was in grade school. It was big enough for a church and my feet couldn’t touch the pedals, so I would sit on the ground and push the pedals with my hands—almost blowing out my ear drums [Ironically, this new album includes hand-played organ bass]. Eventually I picked up the guitar and joined a band where we humiliated every song from Iron Maiden and Def Leopard. I quickly learned that I didn’t ‘rock!’ and moved on to what I’m doing now. Where did you find your inspiration ? Inspirations comes from others creations. books, music, paintings……all of it. What are your projects for the up coming months ? I’ll be working on some videos for this record and I am already working up new songs for a single. Did you have side musical projects ? I often play bass with a band called Singleman Affair that is fronted by Dan Schneider. His first album [“Let’s Kill the Summer”] is beautiful and very haunting and he is about to put out a new album that sounds fantastic. I am recording and mixing a new album for Tiger Trio [on Cardboard Sangria]. The guitar player, Gary Pyskacek, played on a few of my songs. Is there a song you wish you had written ? I’m glad that I never wrote the songs I love, or I might not love them. 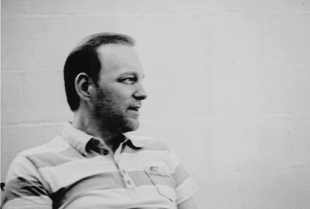 I like writing songs–but the music I enjoy is always someone else’s, never my own. What are you currently listening to, any recommended records ?